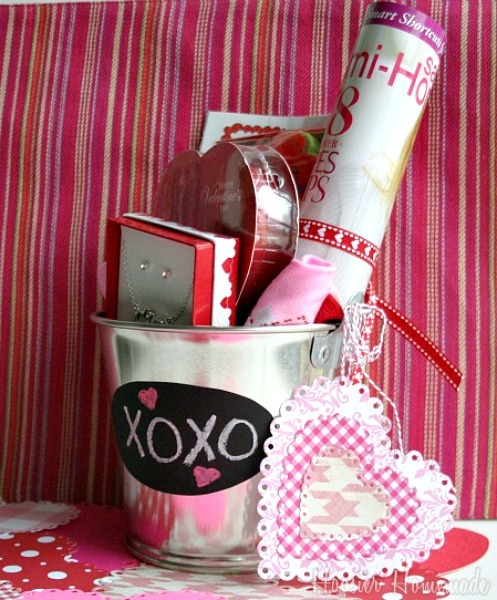 Well the time has come for us to start wrapping up the fun we have had sharing Valentine’s Day ideas with you! 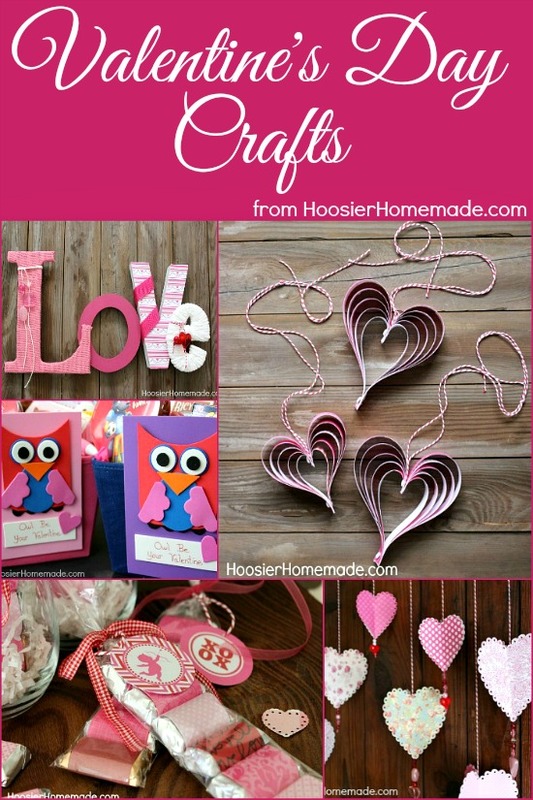 I have had a blast creating the Valentine’s Day Crafts this year. I think my favorites are the Paper Hearts, although I do love the 3D Paper Hearts too, it must be that adorable scrapbook paper! 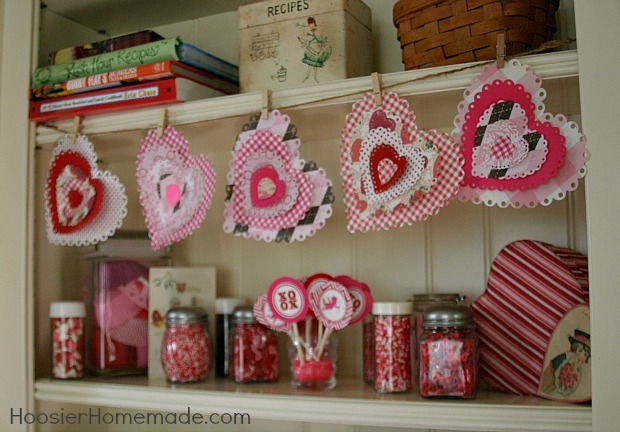 I love how the Paper Hearts look hanging on the Valentine’s Day Mantel! They are easy, but make a grand display! 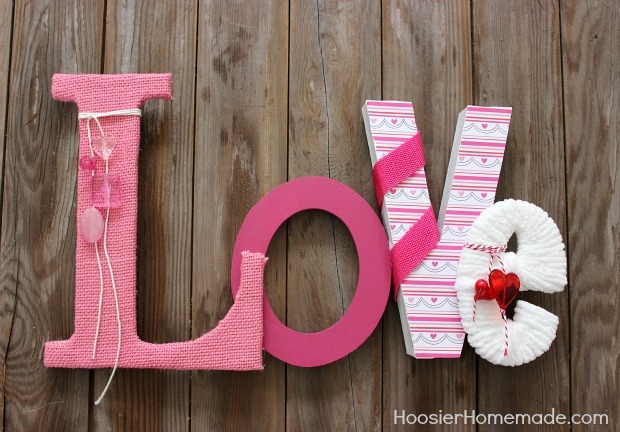 And speaking of the Mantel, the L-O-V-E letters turned out so cute! 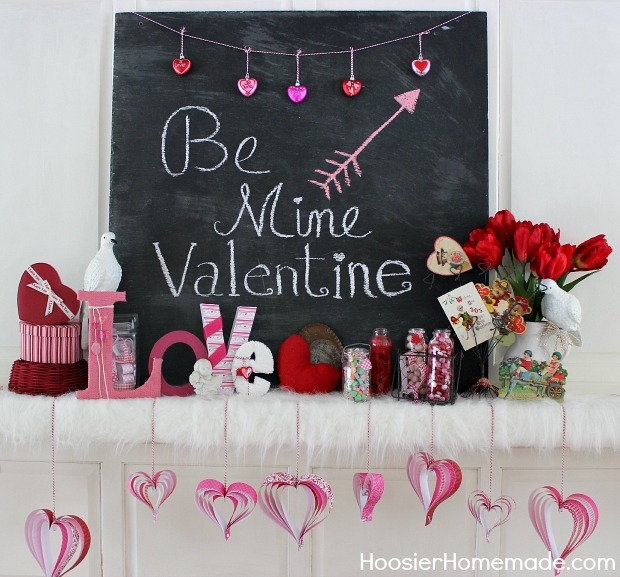 And then we pulled it all together to decorate the Valentine’s Day Mantel! 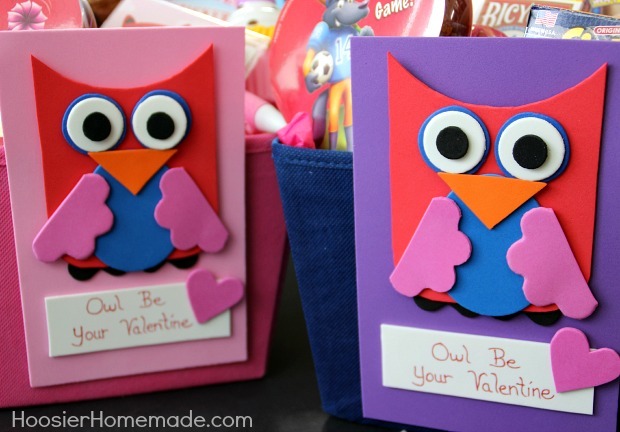 Make these cute little Valentine’s with the kids and add them to Gift Baskets! 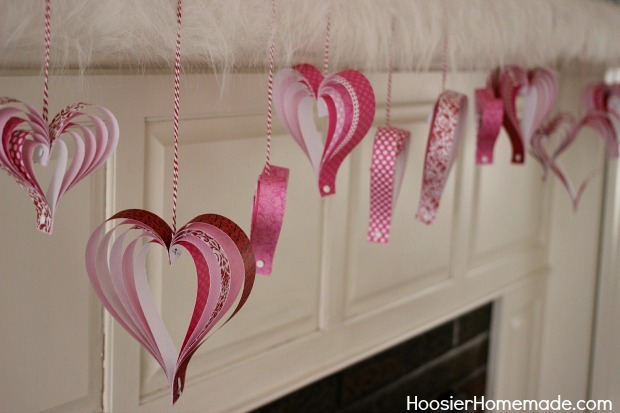 While you have the scrapbook paper out…create some of these 3D Paper Hearts in minutes! 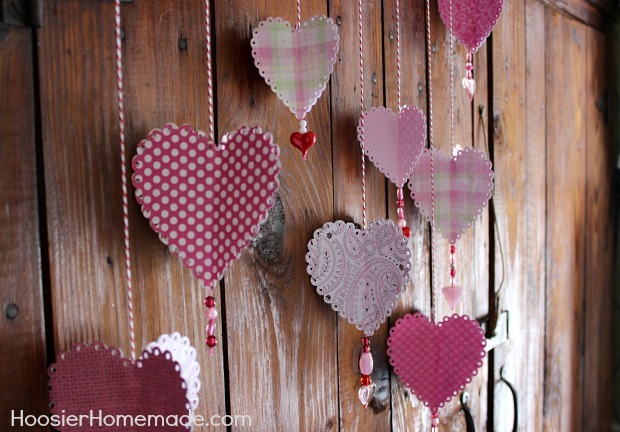 The Paper Hearts continue into the Kitchen with this Paper Heart Garland! 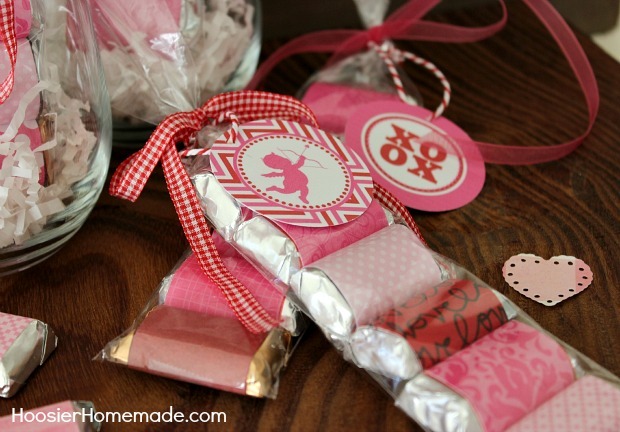 After the house was decorated, we moved onto creating these easy Valentine’s Day Treat Bags! 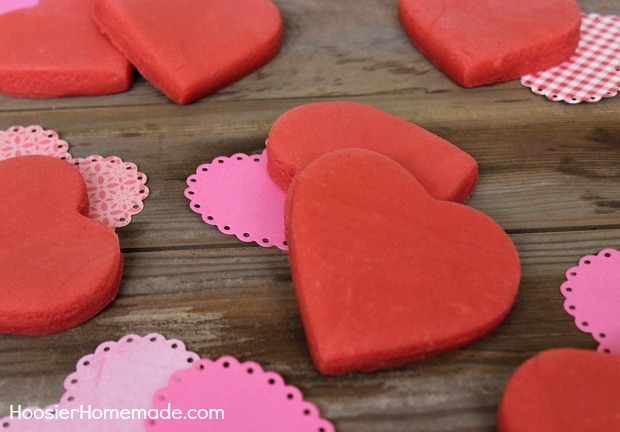 And we couldn’t forget about the kiddos…these Kool-Aid Play-Doh hearts make a great Classroom Gift! And for the older kids, these metal buckets were filled with goodies and decorated with a Chalkboard Label! 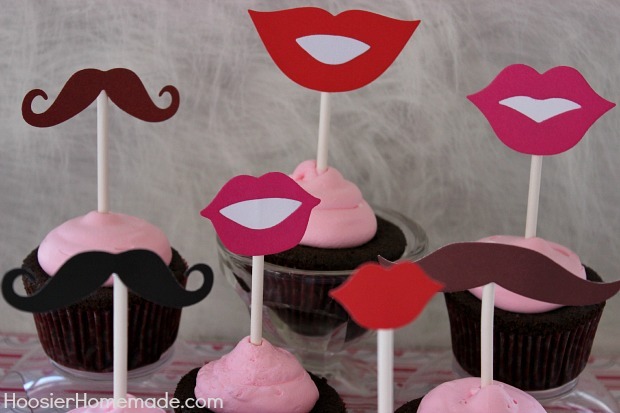 We can’t forget about the Valentine’s Day Cupcakes…these lip and mustache toppers are really cute! 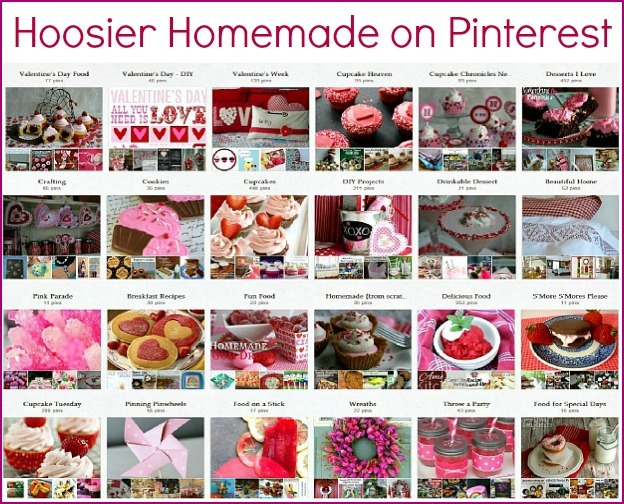 For more Valentine’s Day Crafts, Recipes and Decorating ideas, be sure to follow me on Pinterest…my boards are full of LOVE! Love these! I made them instead of buying cards. At my sons suggestion I made some unique ones using resized/layered photo strips on the outermost layer. Very unique, one of a kind gifts for the special people in my life. I would love to share some photos of the finished product. Hi Margaret, The photo sounds like a wonderful idea! Feel free to share a photo on my Facebook page, or you can email me with a photo and I will share it. Thanks for stopping by and letting me know you like them! ahhhhhhhhhhhh valentine’s is so awesome at your house! !